Smoking Pot Actually Improves Lung Capacity and Doesn’t Cause Cancer. It may be a surprise to all the avid pot smokers out there, but according to the American Lung Association, marijuana smoke deposits about four times as much tar into the lungs that regular tobacco smoke. This is due to the face that marijuana is generally broke up much finer and looser than tobacco so more particles will enter your lungs. 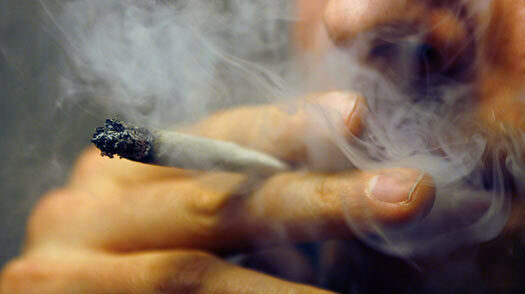 Also pot smokers usually inhale for longer periods of time than tobacco smokers. However, before you go throwing away your blunt wraps and joint papers, there is actually a silver lining. Even though marijuana may deposit four times as much tar than tobacco, there is no evidence that points to the increased risk of any types of cancer. In fact a study that was published in the Journal of the American Medical Association, which is the longest known study on the effects of marijuana, shows that recreational use of the drug can actually increase lung capacity. A lung capacity increase that was actually greater than non-smokers. The study used two tests to prove this known as FEV and FVC. FEV is the amount of air that someone breaths out in the first second after taking the deepest breath possible; FVC is the total volume of air that is exhaled after the deepest inhalation. 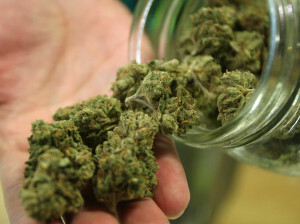 “FEV and FVC both actually increased with moderate and occasional use of marijuana,” says Dr. Mark Pletcher, who is an associate professor of epidemiology and biostatistics at the University of California, San Francisco and lead author of the study. The researchers tried to look for errors or other factors that could explain this phenomena using statistical models, but they could not find any. 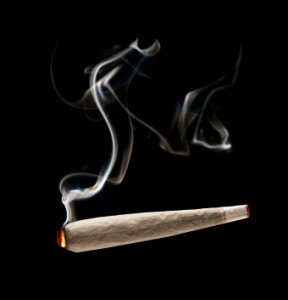 However, they found that chronic use of marijuana could push the users back down to non-smoker levels or even below that. This makes sense, but there is an even greater silver lining for all you habitual smokers out there: there is still no link between smoking pot and any type of lung or upper airway cancer and the evidence to support lung damage is very weak. This may be because of the amazing effects that THC has on the body. THC has anti-inflammatory and immune suppressing properties, which may prevent lung irritation from developing into chronic obstructive pulmonary disease (COPD), which is frequently caused by tobacco smoking. It also has well-defined anti-tumoral effects that have been shown to slow down the growth of a variety of cancers which probably counteracts the potentially tumorigenic effects of the carcinogens in marijuana smoke. Whatever the case may be, it seems that even chronic smoking isn’t the worst thing for your health. The most it seems will happen is that you will decrease your lung capacity slightly. After She Was Tragically Killed In A Ski Accident, She Left Behind Something Amazing!